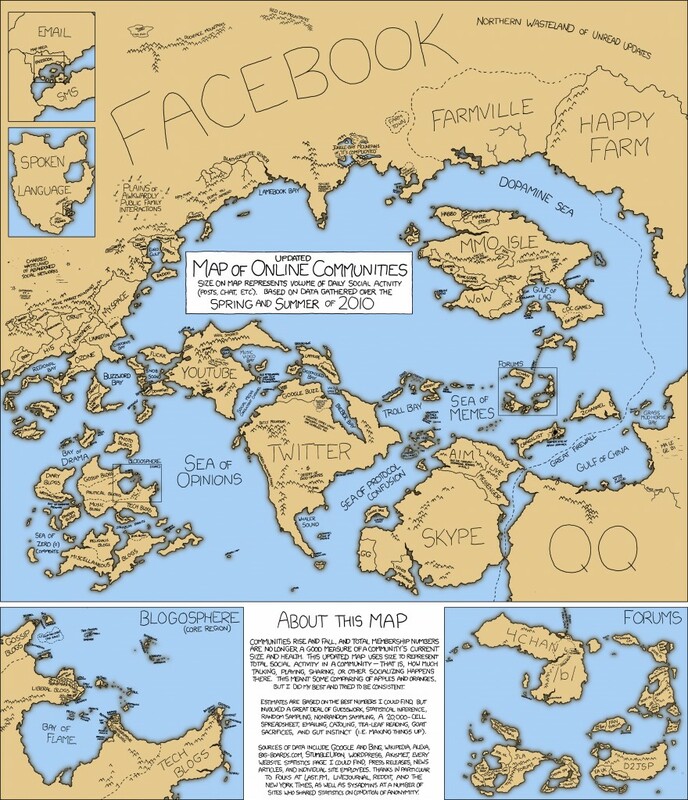 xkcd, a webcomic that often reflects on internet culture, has just published a brilliant drawn map of online communities represented as geographic land and water masses. This isn’t really Charlotte-specific news, so forgive me on this one. But altogether pretty relevant if you, Dear Reader, are the kind of person I think you are. This represents a substantial amount of work and data, as the sizes and positioning of what must be some 2–300 total represented websites and communities were all determined based on the thorough research of xkcd creator, Randall Munroe. Check out the full-size version.